MIM understands the need to have a powerful platform that serves all who contribute to the Nuclear Medicine department. Our Nuclear Medicine Solution empowers both physicians and technologists to work harmoniously through the use of a common platform and set of tools for PET/CT, SPECT, and MRI. 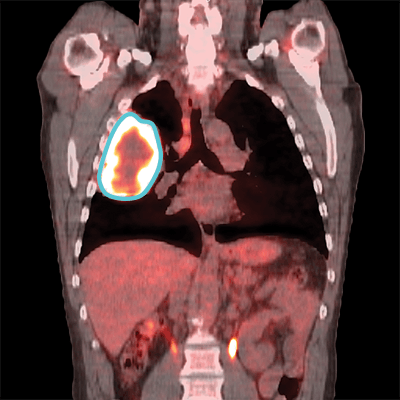 Combine industry-leading therapy response tools for PET with advanced Nuclear Medicine display and processing. Stress less and rest more with MIMcardiac at your fingertips. We’ve designed our cardiac software to fit your needs with quick and effective quantitative analysis in one solution. Experience cardiac software innovation at its best with our robust image registration, automated left ventricle segmentation, and more. Put MIMcardiac at the heart of your routine. MIM Symphony Dx is a comprehensive family of advanced visualization features created through 15 years of research and development in the Multi-Modality Fusion field. Globally, many centers utilize MIM’s tools to rapidly import patients, interpret images, and communicate results.